I love the old style and ambiance of the hotel; the claw-foot bath tub, the brass fixtures, the carpeting, the plaques on the door. I just love the overall aesthetic of the hotel. It's like stepping into another time. I didn't eat breakfast because there were no appealing options. location on town square seemed ideal, but rowdy bars and loud street arguments filtered easily into our room. The poor desk clerk gave us earplugs at checkin and apologized in advance. The hotel is charming but beware the party crowd later in the week. 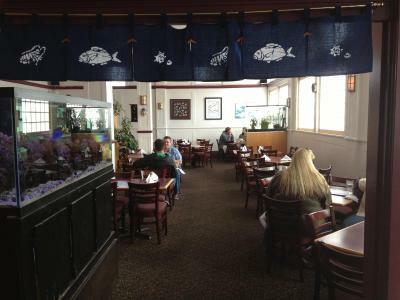 Funky old hotel, good sushi restaurant located in the hotel. 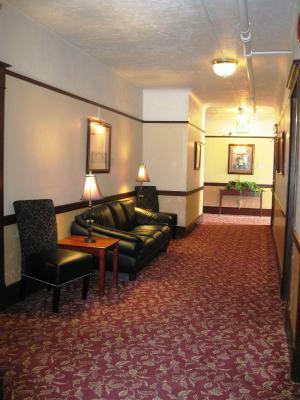 Location was great, centrally located, easy to walk to everything. 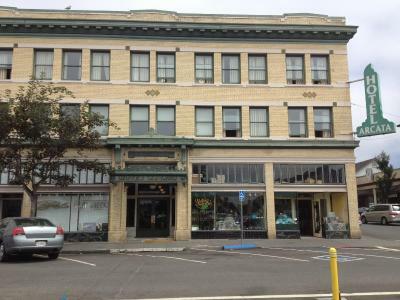 Pleasant historic property, slightly dowdy, in a great location right on the Arcata plaza. Even on the third floor, we could hear all the street noise easily, and walls don't seem thick. For people with mobility issues, the bathrooms would be a problem: the shower is in a clawfoot tub you have to step up into, and there are no grab bars. They are also small, so moving around for someone who is not agile might be difficult. The claw foot bath tub is luxurious. The room is clean with cool character. We had a corner room filled with windows! 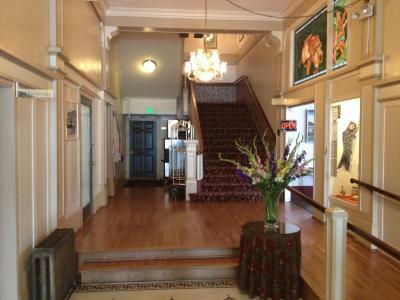 Hotel Arcata is centrally located on the town square and provides Victorian charm at an affordable price. It should be noted that some of the rooms look into the airshaft instead of over the square. A space heater was provided (and appreciated) in the room. Excellent helpful staff. Continental breakfast was included but we were within walking distance to a great breakfast place on the square also. A parking pass so that we could park in the spaces out front without getting a ticket was appreciated. We were very comfortable. Loved the claw foot bathtub. The old hotel reminded me of a flat I used to live in San Francisco. 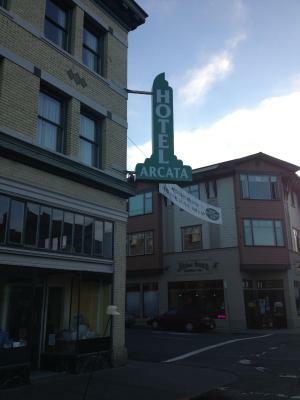 Stay at Hotel Arcata if you like funky, different, historic for a great price at a great location. Hotel Arcata This rating is a reflection of how the property compares to the industry standard when it comes to price, facilities and services available. It's based on a self-evaluation by the property. Use this rating to help choose your stay! 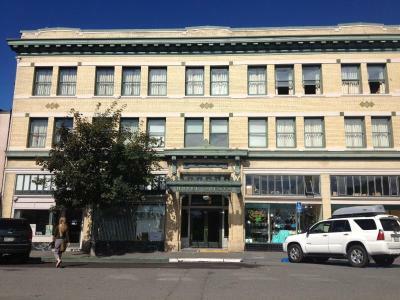 One of our top picks in Arcata.Listed on the National Register of Historic Places, this hotel is located in the city center of Arcata, California. 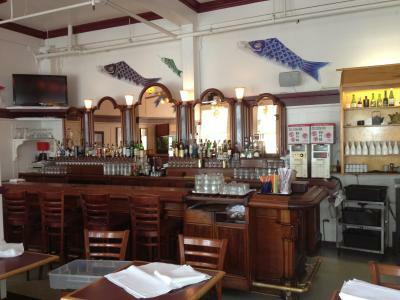 A restaurant and bar are featured on site. Each guest room here comes with a cable TV and a coffee machine. 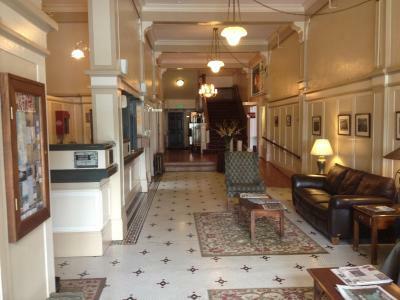 The private bathrooms are equipped with a cast-iron claw foot bath and a brass showerhead. A 24-hour front desk, meeting or banquet facilities, and vending machines can all be found at this hotel. 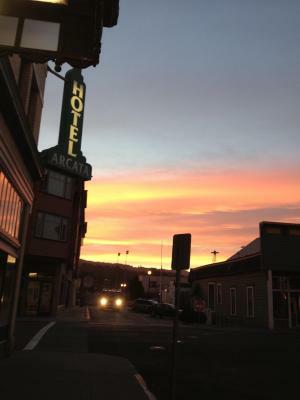 Free WiFi access is provided at Hotel Arcata. A number of dining and shopping options can be reached within 5 minutes’ walk. Humboldt State University is 12 minutes’ walk from the hotel. 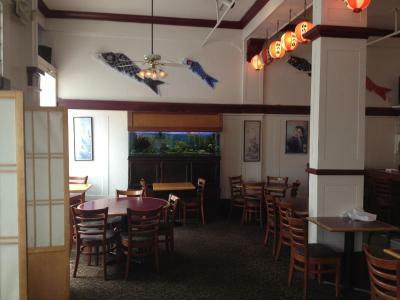 This property also has one of the top-rated locations in Arcata! Guests are happier about it compared to other properties in the area. Couples in particular like the location – they rated it 8.2 for a two-person trip. 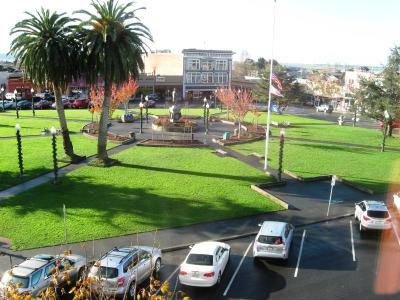 This property is also rated for the best value in Arcata! Guests are getting more for their money when compared to other properties in this city. 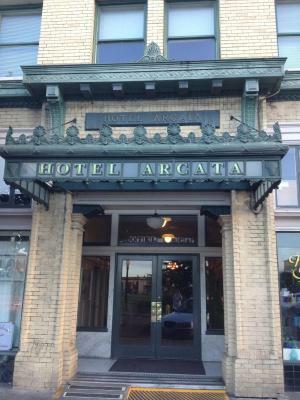 When would you like to stay at Hotel Arcata? Rooms are 19 square yards. This double room features a cable TV. Pets are allowed on request. Charges may apply. 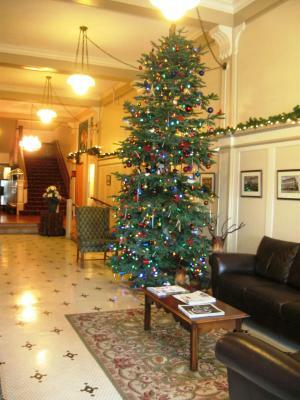 House Rules Hotel Arcata takes special requests – add in the next step! A USD100 damage deposit is required on arrival. This deposit will be fully refunded at check-out, as long as there isn't any damage to the property. Free! All children or adults stay free of charge when using existing beds. One older child or adult is charged USD 10 per person per night in an extra bed. Hotel Arcata accepts these cards and reserves the right to temporarily hold an amount prior to arrival. Guests are required to show a photo ID and credit card upon check-in. Please note that all Special Requests are subject to availability and additional charges may apply. A damage deposit of USD 100 is required on arrival. This will be collected by credit card. You should be reimbursed on check-out. Your deposit will be refunded in full by credit card, subject to an inspection of the property. Outdated bedding that was very rough, water pressure in sink was dribbling. Beds are full size. Lots of people hanging around hotel that were a bit sketchy. Breakfast was sub par. Bread and a few bagels available to toast. The character of this old hotel was cool. Windows facing the street were a little thin (easy to hear goings on outside), but I'm a heavy sleeper so it was not an inconvenience. The whole hotel needs better upkeep and modern amenities. You are paying for the location and the history but any chain motel technically has better features. Close to many bars and loud street noise until 2:30 am. No hairdryer. VERY dated. Don't bother with the free breakfast. The overhead light/fan did not work. The breakfast was sparse. The radiator heating system never came on during the second night of my stay. The wheel fell off the portable heater. I put it back on. Was unable to control the water temperature in the shower which repeatedly rose to a scalding temp no matter what I did. The only way to get ventilation in the bathroom was to open the window -- which had no screen. Windows in the bedroom had no locks. Didn't care for being near a line of bars where I learned stabbings had taken place. I didn't have the breakfast. I had to upgrade to get a television in my room. The hallway smelled like a dumpster but only when the restaurant downstairs was open. It was nice being near the farmers market. The breakfast could be a little better. The pillows and bedspreads came across a bit dated. A newer, fluffier pillow would have been nice. Changed me way more than I had booked. Also was not even close to worth the price . Noisy radiator in room...but did a good job warming the room. Friendly staff, fluffy pillows, clean and cozy.